During my constitutional challenge for cannabis extracts in 2014, the federal government made the argument that the only difference between chewing the dried inflorescence (buds) and making an edible is that cookies are tasty. Tastiness doesn’t serve a medical purpose and certainly isn’t protected as a constitutional right. The Judge rightly saw through this argument particularly because one of the products I was making, which all the patient witnesses use, is a flavourless cannabis oil infused gel capsule. The capsule (named Ryanol after a former baker) is filled with a cannabis infused grape seed oil. Olive, hemp, and coconut oil are also used as a base for capsules, each helping to facilitate the bodies’ absorption of the fat soluble cannabinoids. Capsules are small and easy to swallow. The similarity of capsules to pills makes them more accessible to patients and doctors familiar with conventional medical approaches: people who understandably don’t consider a cookie to be a medicinal tool. Ryanol is the lowest dose capsule available at the V-CBC, offering a way for patients unfamiliar with eating cannabis to ease their way into it. Ryanol fits with the axiom of “Dose low, Go Slow”. By starting out with a small amount, a patient can more carefully titrate their dose to their desired level. 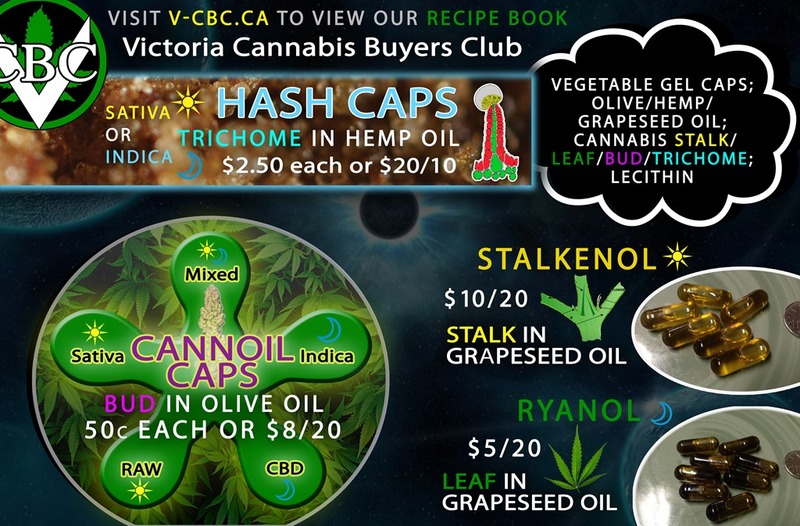 The V-CBC’s cannabis capsules contain 0.75mL of organic oil infused with the specific active ingredients needed to achieve the desired effects. Patients can have a variety of dietary requirements including sugar-free, gluten-free and dairy-free that prevent them from indulging in common cannabis edibles. The simplicity of the infused oil capsules make them the mostly widely accessible product at the club. Additionally, by using dry sift hash from different cultivars, they reduce the presence of non-medicinal ingredients, enabling an even more precise measurement. Each capsule has been infused with 100mg of the active ingredients from a selection of cultivars including Sativa, Indica and CBD dominant plants. 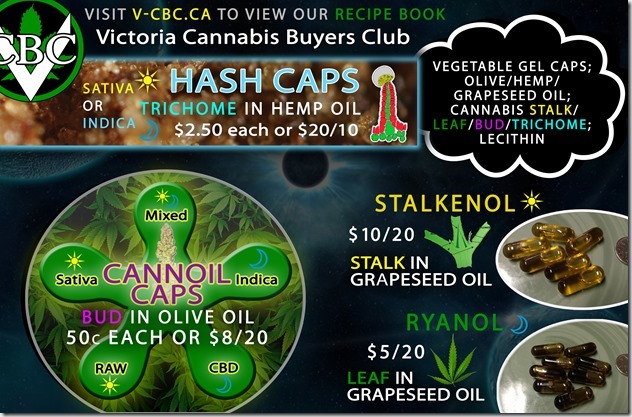 The V-CBC now make 9 capsules that are designed to occupy the spectrum of strengths and effects their membership seek. 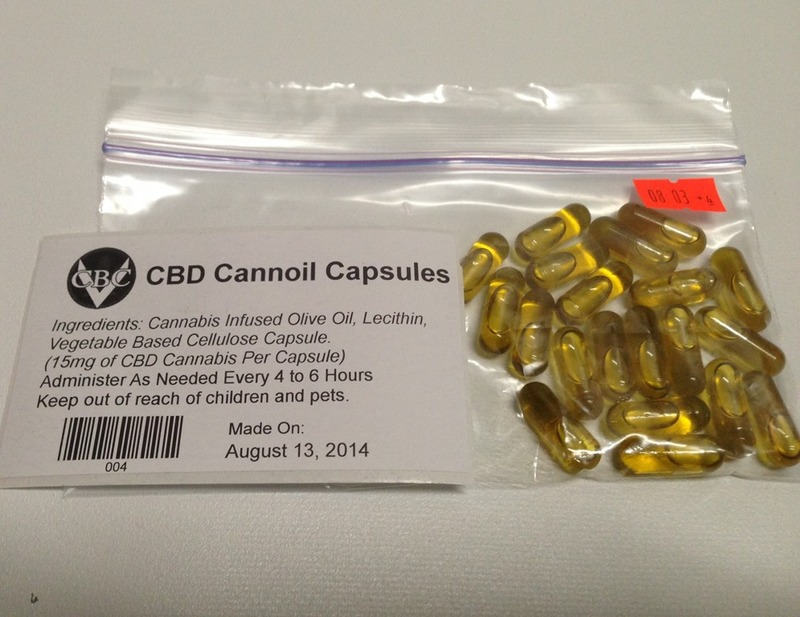 Patients report that by eating just 1 or 2 of these capsules, 1 to 3 times a day, they can achieve relief from pain, nausea, anxiety (including anxiety exacerbated by THC) and muscle-spasms without feeling high or having undesired side effects. The club receives donations of leaf from their long-term growers and collects the stems that are removed when the dried buds are sold: reusing these to make affordable low strength infused oil capsules. With a capping tray and a bag of gel caps, it can take under ten minutes to make 100 capsules. it is important that your capping tray is completely dry, any moisture will cause the gel capsule to melt, which can get messy. After removing the cap and placing it into a hole, use a syringe, (or a squeeze bottle with a narrow spout) to fill the capsule with infused oil. It takes a steady hand to avoid making a mess before carefully putting the little caps back on. Organic vegetable oil infused with a variety cannabis cultivars.